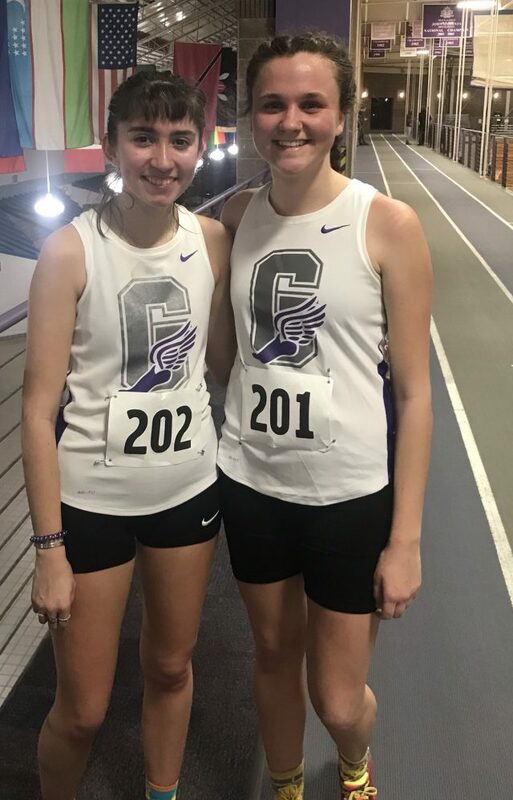 Friday, Jan. 18 proved a successful night for the Goshen College racewalk team as both athletes qualified for the NAIA national meet in Brookings, South Dakota. The competition was held in the Roman Gingerich Recreation-Center. The national meet will be held Feb. 28 – Mar. 2, with the racewalk competing on Mar. 1. Siana Emery, a junior, qualified for her third straight indoor national meet, finishing with a time of 16:11.4, her fourth best time ever. This mark earned Emery both Maple Leaf Athlete of the Week and Crossroads League Track Athlete of the Week and was the top time in the country at the time of completion. Between indoor and outdoor, this time marks Emery’s fifth national qualifier but this one weighed a little more. Emery was battling an injury in her shin in the month and a half before the meet, affecting preparation for the competition. This injury meant that Emery only completed two workouts before the race. Hayley Bickford, a first-year, competed in her first ever collegiate racewalk meet. She also successfully qualified for the NAIA national meet with a time of 16:59.8, the ‘B’ standard. Bickford commented on the rough transition of high school to college. Due to weather conditions, the debut meet for the full Maple Leaf track team was cancelled. The Don and Riley Zimmer Indoor Classic at Trine University was initially set for Jan. 19. The track and field team will now open their season at the GVSU Open in Allendale, Michigan on Friday, Jan. 25. The racewalker’s will also race again Friday, but in Findlay, Ohio.